Critical Care Franchise in Chhattisgarh- Critical care medicines are basically the one which many physicians and doctors prefer to use while treating and diagnosing the life-threatening healthcare conditions. With the change in lifestyle, increase in accident crashes and chronic diseases has lead towards the increase in the demand for Critical Care medicine in India. There is quite a few popular critical care pharma franchise company in the East part of India. Therefore there is a great need for Critical Care Franchise in Chhattisgarh, Bihar, West Bengal and in other eastern states of India. Kritikos Care is a Chandigarh based leading pharma franchise company. We are popular throughout India for our high-quality critical care products. Our company, Kritikos Care is trusted by many best healthcare professionals all around India. Our purpose is to reach in every corner of India by offering the business opportunity for medical professionals. We are one of the popular Critical Care Franchise in Chhattisgarh, and looking forward to expanding our boundaries more through delivering more business opportunity throughout Chhattisgarh’s districts. 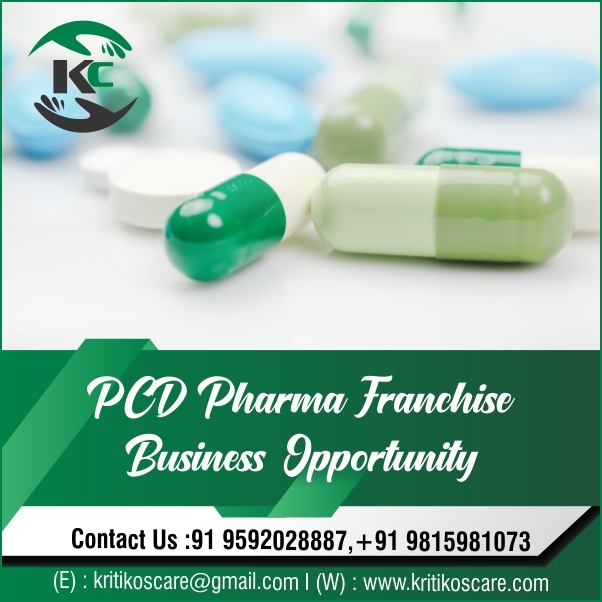 Kritikos Care always invites medical professionals to become PCD Pharma Franchise business partners. So to know more regarding the PCD pharma franchise in Chhattisgarh and other business related queries, you can contact us at +91-9592028887, 9815981073. Even you can write to us at kritikoscare@gmail.com. Kritikos Care is a well-established and well-known Chhattisgarh pharma franchise company. The company PCD Pharma Franchise is involved in manufacturing, trading, providing critical care medicine and intensive care products. We, Kritikos Care, offer superior quality formulations of more than 500 +. We have manufacturing facilities fully integrated, our manufacturing unit is equipped with advanced machinery and best technology. In the short span of time, our pharma franchise company has acquired a good market position. Kritikos Care has made a good position with the help of its innovative and branded drugs, supported by leading pharma experts in the industry. Our wording is available at affordable prices so that our formulations can be accessed by everyone. We serve over 4000+ pharma services nationwide. Be our partners in the pharma franchise and take mutual benefits. Kritikos Care always welcomes the medical professionals, suppliers, distributors, and newcomers to become our pharma franchise business partners from Chhattisgarh, Bihar, Jharkhand, Gujarat, Punjab and other states of India. We’ve been indulging in formulating the widest range of Critical drugs. We have been following the richest pharmaceutical manufacturing culture since its inception to carry out our tasks of medicine formulation. This is why many healthcare professionals from across the nation choose and recommend our product range most. The large proportion of our manufactured drug was carefully prepared and delivered to many leading hospitals, health care centers and other places to improve the health of critical care patients. There is good business career opportunity on joining with Pharma Franchise for Critical Care range because of the rapid increase in the demand and following healthcare conditions. Cancer: More than 1.73 million new cases of cancer are expected to occur in India by 2020 each year. Commonly used chemicals from households and cosmetics contain compounds that cause cancer. It is estimated that toxin exposures to the environment can be associated with up to 20 percent of cancer cases. Heart diseases: 26% of all cardiovascular disease deaths in India occur. There is a higher risk for men and young people. Young and middle-aged people are at risk in urban India, while the elderly are vulnerable in rural areas. Lack of physical activity was identified as one of the major cardiovascular disease triggers. Respiratory diseases: India had an estimated 22.2 million patients with chronic COPD and some 35 million patients with chronic asthma in 2016. In addition to vehicle and industry air pollution, global warming also increases the risk to respiratory health. The Critical Care pharma industry is an industry that continues to grow. Therefore, your area of opportunities cannot be misjudged. The more knowledge you gain in this area, the more different markets you will be able to explore. Critical Care PCD franchise is the best way to start your career better. Only the profits will be introduced by the PCD pharma franchise. Only if you don’t deal with a trusted PCD franchise company can the losses be there. With less investment, there is less risk and more earnings in the following area. In the competition, you can enjoy higher monopoly rights. Only if you deal with the manufacturing company of the best quality products like Kritikos Care. If you get the critical care medicine pharmaceutical franchise, earnings will be higher. As these are a costly set of class of medicine.